by Richard Manning, Americans for Limited Government: The timeless Washington, D.C. game of guess the Cabinet appointment has turned the town’s focus onto Thomas Perez, the current head of the Department of Justice’s Civil Rights Division, as the likely replacement for former Secretary Hilda Solis. But Perez’ path to Senate confirmation is anything but clear as a just released Justice Department Inspector General’s report sharply criticized both his leadership of the Civil Rights Division and his truthfulness in responding to allegations that political operatives were involved in the decision to not prosecute two New Black Panther Party leaders on voter intimidation charges leveled after the 2008 election. Bill Wilson, president of Americans for Limited Government called on the Senate to reject Perez if he is nominated stating, “President Obama’s likely nominee for Labor Secretary Thomas Perez’s attempted cover up of the involvement of Obama political appointees in the New Black Panther Party voter intimidation case makes him unfit to serve in any further capacity in this or any other Administration. “Perez knowingly lied to the U.S. Civil Rights Commission when he insisted under questioning that political appointees were not involved in overturning the decision to not to prosecute two New Black Panther Party leaders who were caught on camera threatening voters at a Philadelphia polling place. “It is shocking that Obama would consider appointing someone who should be prosecuted for perjury rather than promoted to Labor Secretary. “Sadly, that Perez is even being considered to be the nominee reveals a great deal about Obama’s arrogance and utter disregard for the constitutional advice and consent process that he would even consider, let alone offer up, someone as unfit as . The Labor Department itself faces a scandal in its Job Corps program, where the Department is under congressional fire for overspending by $61 million, causing the number of program openings to be cut in half. “Any incoming Secretary of Labor will have to confront the gross mismanagement of public funds that was allowed to occur under Hilda Solis. To place someone, like Perez, into this position of trust who has already been excoriated by a federal court and the Justice Department Inspector General for choosing to lie to cover up potential political malfeasance hardly provides the public confidence that he could lead anything other than a typical administrative cover up,” Wilson concluded. If Obama nominates Perez, it is expected that he will face a difficult confirmation process. Rick Manning (@rmanning957) is the vice president of public policy and communications for Americans for Limited Government. Tags: Labor Dept. Nominee, Sec. of Labor, Thomas Perez, Department of Justice’s Civil Rights Division, scandal, truth problem, Richard Manning, Americans For Limited Government To share or post to your site, click on "Post Link". Please mention / link to the ARRA News Service. Thanks! 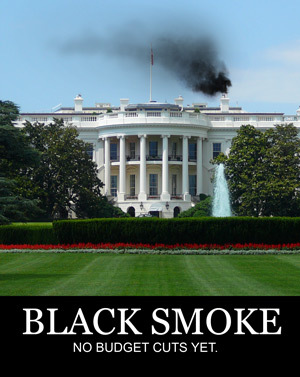 Phil Kerpen, Contributing Author: The White House continues to inch closer to a carbon tax. In Obama's first post-election press conference, he dodged the question. The next day his spokesman Jay Carney said: "We would never propose a carbon tax, and have no intention of proposing one." Great, but they don't have to propose it. The proposals have now been made by Obama's key allies. Senator Barbara Boxer, the chairman of the Senate Environment and Public Works Committee introduced a carbon tax bill with Vermont's Bernie Sanders, a self-described socialist. On the House side, the top Democrat on the Energy and Commerce Committee, Henry Waxman, has introduced a carbon tax discussion draft. This week Obama indicated he's quietly preparing to back these proposals. "If we move aggressively on an issue like climate change -- that's not an easy issue for a lot of folks," Obama said to the first meeting of the operatives of Organizing for Action — his supposedly non-partisan continuation of his presidential campaign. "I want to make sure that a congressman, senator feels as if they've got the information and the grassroots network that's going to support them in that effort." So the bills have been introduced and Obama is readying his grassroots army. This is looking increasingly real, and the economic stakes are enormous. Let's start with the pain at the pump. The Boxer-Sanders bill taxes carbon dioxide at $20 per metric ton, which works out to 17.8 cents a gallon of gasoline. So it basically would double the existing federal gas tax. (Which of course begs the question — don't we already tax carbon enough?) It gets much worse; Boxer-Sanders automatically raises the tax 5.6 percent per year for 10 years, enough to double the tax to 30 cents. And the tax would also hit your electric bill, of course, and industrial energy users would be hit hard. A study by the National Association of Manufacturers found that a carbon tax similar to Boxer-Sanders would knock an immediate half a percent off of GDP and threaten millions of jobs. The Waxman discussion draft is potentially much worse. It proposes a range of starting prices and automatic increases up to $35 per metric ton and 8 percent. That would mean about 31 cents a gallon gas tax to start, automatically jumping to 67 cents by year 10 and $1.34 by year 20. Of course electricity generation, manufacturers, and every product grown, shipped, or manufactured would also be hit. But perhaps the biggest danger is that despite the widespread economic damage, these proposals could become politically viable by incorporating large scale income redistribution. Even one supposedly conservative advocate of carbon taxes recently suggested 11 percent of the revenue should be used to increase social welfare spending to alleviate the impact of higher energy prices on the poor. We can safely assume the liberals will push for a much larger piece than that, perhaps issuing free gas cards much like existing food stamp cards so hardworking taxpayers can pick up the (fast-rising!) gas tab not just for themselves but for others, too. Fortunately, some leaders in Congress are not waiting for the Democrats to spring this trap. 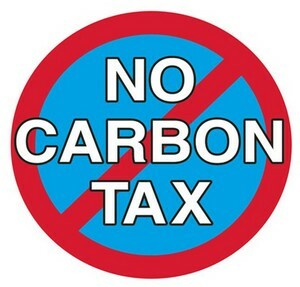 Congressmen Steve Scalise of Louisiana and Joe Barton of Texas have introduced a resolution of disapproval making clear that a carbon tax would be economically destructive and should be rejected. Such "Sense of Congress" resolutions are usually just political statements, but given the marshaling of Democratic forces, it could serve as a vital prevention strategy to put the House firmly on the record in opposition now and prevent any risk of a carbon tax emerging as a real possibility. House leadership would be wise to bring the resolution to the floor and put the House on record against this terrible idea. Tags: Phil Kerpen, Carbon Tax, Boxer-Sanders bill, Barbara Boxer, Bernie Sanders, Carbon Tax, impact on families and businesses, higher energy costs, higher tax To share or post to your site, click on "Post Link". Please mention / link to the ARRA News Service. Thanks! By Sandy Fitzgerald, NewsMax: Dr. Benjamin Carson, whose speech at the National Prayer Breakfast made headlines, said Saturday he is leaving medicine, and hinted at political aspirations that could even include the presidency. The neurosurgeon, speaking at the Conservative Political Conference in Oxon Hill, Md., said he plans to end his medical career while he's still at the top of his game and focus more on his educational foundation, Carson's Scholars, reports CNN. Carson's drew cheers at the National Prayer Breakfast when he criticized the Obama administration's tax policies and Obamacare as the president looked on. Carson said if someone wanted to ruin the United States, they “would create division among the people, encourage a culture of ridicule for basic morality and the principles that made and sustained the country, undermine the financial stability of the nation, and weaken and destroy the military. It appears coincidentally that those are the very things that are happening right now." 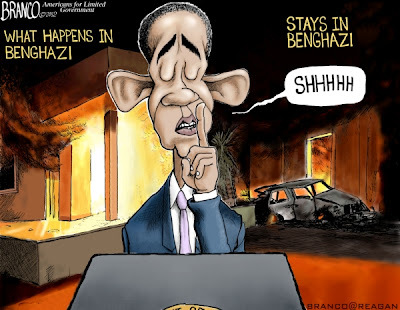 While the retiring physician does not give 100 percent of the blame to any one person — even Obama, his barbs were aimed at him. 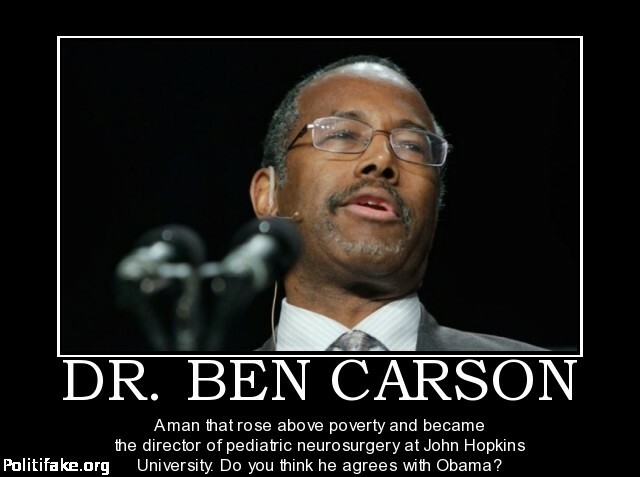 Tags: CPAC 2013, Dr. Ben Carson, Video, NewsWeek article about Carson To share or post to your site, click on "Post Link". Please mention / link to the ARRA News Service. Thanks! Heritage Foundation President-Elect Jim DeMint spoke at CPAC 2013 about how conservatives can get back on track. His remarks begin at 1:11. Tags: Heritage Foundation, president-elect, former U.S. Senator, Jim DeMint, CPAC 2013 To share or post to your site, click on "Post Link". Please mention / link to the ARRA News Service. Thanks! Marco Rubio: "The idea is America; it still works." "Look around the world, who are they copying." "They may claim to hate us but they would like to be us." Tags: Senator, Marco Rubio, CPAC 2013, Florida, pro-life To share or post to your site, click on "Post Link". Please mention / link to the ARRA News Service. Thanks! Allen West: "I am not ready to give up on America. I'm not ready to abandon by my oath or my values. I am not ready this resign this land, this free people to self-inflicted collapse." Tags: Representative, Lt. Colonel, Allen West, CPAC, 2013, rally call to conservatives, Florida To share or post to your site, click on "Post Link". Please mention / link to the ARRA News Service. Thanks! I will stand for our prosperity and our freedom. I will stand for you. And I ask everyone who values liberty to stand with me. The President says he can't find anything to cut except for White House tours. 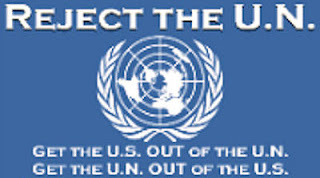 I say, not a penny more to countries that burn our flag. If we destroy our enemy, but lose what defines our freedom in the process, have we really won? My message today for the President is that no one person gets to decide the law, no one person gets to decide your guilt or innocence. Tags: Senator, Rand Paul, Speech, CPAC, 2013, Kentucky To share or post to your site, click on "Post Link". Please mention / link to the ARRA News Service. Thanks! How about something different than politics or articles threats to America? Okay! Here you go - an article about Skeumorphism! by Kerby Anderson, Point of View: Is it time to get rid of skeuomorphism? Before you could answer that question, you would probably like me to give you a definition for that word. A skeuomorph is a design on an object that resembles another object. If you are a car aficionado, think of the simulated wood grain on some of earlier model stations wagons. If you like pottery, think of the imitation rivets that make it look like a metal pot. My focus in this column is not on cars or pots. I want to talk about the interface in computer applications. In order to introduce new computer users to an application, software designers used graphic images that mimicked the real world. You place documents and other articles in file folders. You take notes in notebooks. Your calendar displays days in an animated function that allows you to flip the calendar. Your eBook collection sits on a wooden shelf in your computer’s book section. You play cards on a felt poker table. The argument in favor of skeuomorphism originally was compelling. People unfamiliar with computers would find it easy to use these computer applications because visually they were similar to what they were doing in the real world. They were taking notes in notebooks. They were putting books on a shelf. They were playing cards on a card table. All of this took place on a computer screen that looked like desktop. Using skeuomorphism made sense because it was easy for the user and intuitive. The question today is whether they are necessary. Most people have been using computers for many years. Even children grow up learning computers at a young age and probably do not need these visual devices to know how to use a computer and its applications. In fact, in our computerized world they might not even understand some of these interfaces. We may like the look of books on a wooden bookshelf or the look of taking notes on a leather-bound notebook. That is fine if we want to nostalgic. Let’s also acknowledge that we don’t need them. A simple, clean interface might be enough. Tags: Skeuomorphism, Kerby Anderson, Point of View To share or post to your site, click on "Post Link". Please mention / link to the ARRA News Service. Thanks! The Senate is in recess until next Monday. Yesterday the rejected (45-54) an amendment to pending H.R. 933 made by Sen. Tom Coburn, MD, (R-OK) to temporarily freeze the hiring of nonessential Federal employees. The democrats won't even "temporarily" stop even hiring "nonessential" Federal employees! One democrat, Sen. McCaskill (MO) joined her Republican colleague Sen. Roy Blunt (MO) voted for the amendment. However, neighboring democrat Senator Mark Pryor (AR) failed to do the same and voted lockstep with the democrats against the temporary freeze. Pryor is up for re-election in 2014 and continues to vote against the will of the majority of Arkansans as if he might not be running again for office. The Senate also rejected (54-45) an Amendment by Sen. Tom Harkin (D-IA) with votes 100% along party lines. Harkin's amendment would have rewritten the House bill in numerous areas. Note, Sen. Harkins age 73, a former U.S. Congressman, will not seek re-election in 2014. This week we saw a movement on budgets with House Budget Committee released the Republican lead budget on Tuesday. Then in a major change of efforts, the Senate Senate Budget finally after four years released the Democrat lead budget. And, again we are still waiting for the overdue Presidential budget (thus the editorial cartoon above). The Patriot Post provides an excellent "Tail of Two Budgets" addressing the two budgets. Worth the read, even the Ryan Plan gets some red marks. Known for being a straight talker, Tim Phillips, President of Americans for Prosperity (AFP), doesn't have any kind words for Sen. Murray's budget plan. Phillips said, "The budget submitted by Senate Democrats calls for $1.5 trillion in higher taxes, trillions more in new spending, and does absolutely nothing to address the broken entitlement system our country is facing. Senator Murray has no plan to ever balance the budget, and instead does the exact opposite - increasing spending and adding an additional $7 trillion to the national debt. "Overall, Murray’s plan is very dangerous for Americans and our economy as a whole. Continuing out-of-control spending means raising taxes on you, at a time when many Americans can’t afford more tax increases. 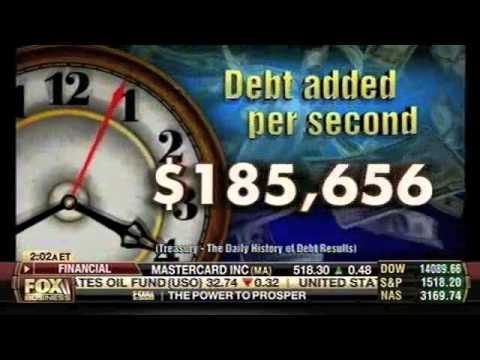 To not cut spending is irresponsible, but to not even mention it is pure insanity." You can keep up with AFP's policy team's analysis at their Budget & Spending Issue Page. Tony Perkins, President of the Family Research Council also had few good word for the Sen. Murray budget plan. Perkins' said, "Although Democrats insist Murray's proposal would reduce the deficit, it does so far less ambitiously than the House budget. Depending on whose math you use, the Murray budget would cut anywhere from $650 billion to $1.85 trillion from the deficit (mostly thorough accounting gimmicks as opposed to real cuts). But by 2023, Americans would still be dealing with a half-trillion budget shortfall -- whereas Ryan's measure could create as much as a $7 billion surplus in the same time period." Murray's budget "pushes for $162 billion more spending next year than this year--and for every page of spending cuts (11), she proposes three and a half pages (39) of new stimulus spending. 'Their budget never balances -- ever,' Ryan noted. 't simply takes more from hardworking families to spend more in Washington' That's just one of the differences between the two measures"
While the Murray plan should really be DOA, it will in the end force a conference between the House and Senate for a final budget deal. However, the Ryan plan is not without its negatives. The previous fiscal cliff deal allowed taxes to rise by $620 billion dollars; Ryan leaves those higher revenues in his budget. AFP opposed the fiscal cliff deal because of the higher taxes; this budget cements them. Taxes: keeps the higher taxes from the fiscal cliff deal and doesn’t explicitly repeal the President’s health care. Tags: budgets, House Budget, Senate budget To share or post to your site, click on "Post Link". Please mention / link to the ARRA News Service. Thanks! “There are those out there who criticize our plan. We repeal the president’s health care law, because it’s bad for Americans’ health care, and it’s bad for jobs. We don’t raise taxes, because the president got the tax hikes that he campaigned on back in January. “We won’t agree on everything, but we should be able to agree on some common goals. Number one: how about balancing the nation’s budget. Every family in America has to balance their budget. Washington should too. “Listen, I’m glad President Obama reached out yesterday and visited with our House Republican Conference. And I think we had an honest discussion. But this is going to take more than dinner dates and phone calls. It’s going to take the president and Senate Democrats rolling up their sleeves and making tough choices about how we solve our nation’s problems. No more tax hikes, no more gimmicks, and no more putting off what needs to be done today. 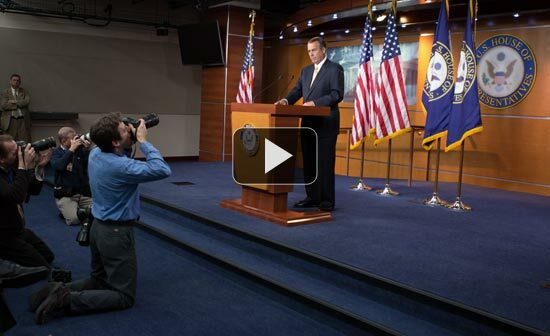 Tags: Speaker Boehner, John Boehner, press conference, March 14, 2013, Balanced Budget, Healthier Economy, More Jobs, Brighter Future, Our Kids, Our Grandkids To share or post to your site, click on "Post Link". Please mention / link to the ARRA News Service. Thanks! for Washington to wake up to reality. The House today began consideration of taking up H.R. 803 which will reform and strengthen the workforce investment system of the Nation to put Americans back to work and make the United States more competitive in the 21st century. Yesterday, the House passed (246-181), H.R. 890 which prohibits waivers relating to compliance with the work requirements for the program of block grants to States for temporary assistance for needy families, and for other purposes. Today, the Senate resumed consideration of H.R. 933, the House-passed continuing resolution that funds the government through the end of September. At 11:15, the Senate began voting on two amendments to H.R. 933, one from Sen. Tom Harkin (D-IA) and one from Sen. Tom Coburn (R-OK) which would freeze the hiring of non-essential federal employees for the rest of the fiscal year. More amendment votes are possible today. Sen. Sessions Amendment would reduce revenues in the Chairman’s Mark to the level of revenues in CBO’s February baseline and reduce total outlays such that the Democrats’ budget would balance in FY 2023. Sen. R. Johnson Amendment would create a new 60-vote point of order against any budget resolution that does not produce a surplus in any year after FY 2022. Senate Majority Leader Harry Reid (D-NV) has filed cloture on the Mikulski substitute amendment that is the bill text the Senate is working from and on the underlying bill. A cloture vote would be held tomorrow unless an agreement to hold it earlier is reached. Yesterday, all 45 Senate Republicans voted for Sen. Ted Cruz’ (R-TX) amendment to defund Obamacare, but majority Democrats all voted to kill it. Also yesterday, the Senate rejected a motion to table an amendment from Sen. John McCain (R-AZ), which cuts funding for infrastructure projects in Guam. The McCain amendment was then adopted by voice vote. And, Senate Democrats seem to have even surpassed President Obama in their tax and spend ways in this budget. The Post notes, “On one side of the Capitol, President Obama sought to convince House Republicans on Wednesday that he is serious about reining in the rising cost of federal health and retirement programs. But on the other side of the Capitol, Senate Democrats rolled out a 10-year spending plan that sent a different message: Not so fast.” In fact, “Senate Democrats are resisting the reforms the president has laid on the table. Instead of $400 billion in Medicare savings, Murray’s blueprint offers $275 billion from both Medicare and Medicaid. And instead of $700 billion in new tax revenue, her blueprint seeks nearly $1 trillion.” Actually, it’s since been revealed that Democrats now want $1.5 trillion in tax hikes in their budget. Yesterday, in an op-ed in the Washington Post and provided to the ARRA News Service by the Speaker's office, Speaker Boehner recalled the president to the table asking, "Obama’s outreach is nice, but where’s the leadership?" Boehner wrote, "So it was a good meeting. House Republicans welcomed the chance for a frank exchange of ideas with President Obama on Wednesday. Outreach is always positive, and more Republicans in this town need the opportunity to have an open dialogue with our president. I hope these discussions continue.
. . . If we’re going to find bipartisan solutions, the president will have to move beyond the same proposals and Democratic dogma. For all of Washington’s focus on the president’s outreach to Republicans, it’s his engagement with members of his own party that will determine whether we succeed in dealing with the challenges facing our economy. Take the budget. At a time when our economy continues to limp along and every American’s share of our national debt exceeds $52,000, Washington owes the people a responsible, balanced budget. The plan Republicans introduced this week balances the budget in 10 years. Instead of spending money we don’t have to expand government, our budget focuses on growing the economy and improving the lives of American families. Our balanced budget means more economic security for workers and parents, a more secure retirement for the elderly and more opportunities for younger workers. Recognizing the reality of divided government, Republicans launched an effort in January to try to bring Senate Democrats to the table. Republicans’ “No Budget, No Pay” law requires Senate Democrats to pass a budget for the first time in four years or lose their salary. This has worked, and if both chambers pass their budgets next week, we’ll have another opportunity to reconcile two very different visions for the future. I don’t underestimate the difficulty of this task, especially given that Senate Democrats have no interest in balancing the budget. The president also doesn’t share the goal of a balanced budget, despite frequent talk of a “balanced approach.” But we need to try, because doing so is vital to ensuring that our children and grandchildren have a chance to live the American dream. The problem, in large part, is that Democrats refuse to make the tough choices necessary to solve our long-term debt crisis. Despite enacting $650 billion worth of tax hikes in January, they would rather raise taxes again and tinker around the edges on entitlements — if at all — while spending on these and many other federal programs continues on autopilot. This is not how we’ll fix Washington’s spending problem. The president knows that. During our debt discussions in 2011, he supported such reforms as raising the Medicare eligibility age and achieving savings in Medicaid. He has since taken these reforms off the table. Instead of continuing to backpedal, the president could put these ideas back in the mix — and make it so that this budget process isn’t just a political exercise that goes nowhere. To be sure, there are other parts of our budget the president can embrace, including approval of the Keystone XL pipeline. The State Department released a report this month that makes clear there is no reason to further delay this project, which enjoys broad public support and will create tens of thousands of American jobs. Unfortunately, lawmakers and interests in the president’s party are standing in the way. This is another chance for the president to forge common ground and stand up for middle-class jobs. All of these bipartisan discussions are encouraging, and Republicans hope they will lead to real solutions that help American families. But presidential leadership is really what’s needed. By shifting the focus from charm to courage, and eventually action, we can guarantee our children a future where everyone has the opportunity to find work and pursue their piece of the American dream. That would be the grandest bargain of all." Tags: Democrat Budget, $1.5 Trillion, tax increase, debt, National debt, Speaker Boehner, op-ed To share or post to your site, click on "Post Link". Please mention / link to the ARRA News Service. Thanks! As we see it, the chief strategic objective is now to keep gun control votes from coming to the Senate floor by opposing the “motion to proceed” to any bill which is going to be used as a vehicle for gun votes. ACTION ALERT: Click here to contact your senator. Ask him to oppose any motion to proceed – by filibuster if necessary – to the Feinstein gun ban, the universal gun registry bill, the Veterans Gun Ban (S. 54), or to any other piece of legislation being brought up as a vehicle for votes on these anti-gun proposals. Tags: Gun Owners of America, GOA, U.S. Senate, Obama, gun control proposals, 2nd Amendment, action alert To share or post to your site, click on "Post Link". Please mention / link to the ARRA News Service. Thanks! Senate Democrats had four years to come up with a plan to balance the budget and grow the economy. Four years to develop a proposal to make government less wasteful and more productive, and to reform failing government programs that have trapped millions in poverty and joblessness. But after four years and $6 trillion in debt since a budget was last passed, their vague proposal leaves America with a budget that never balances and a government that never stops growing. The Senate Democrat plan offers $7.3 trillion in new debt in the first 10 years, with interest payments climbing to $791 billion in the tenth year and total debt rising to $24.4 trillion. 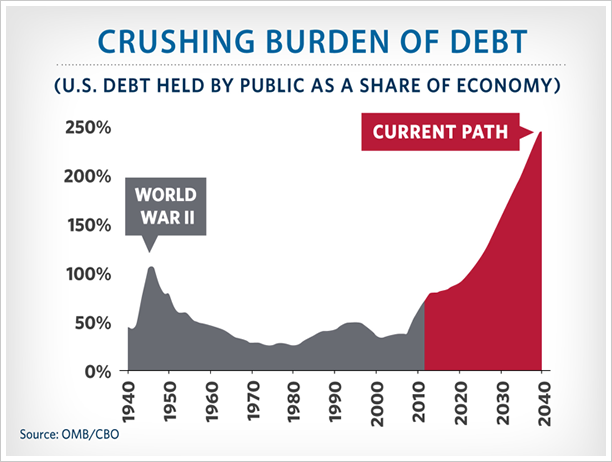 Debt remains permanently elevated above the danger zone of 90 percent of GDP, resulting in slower growth and lost wages. Excluding war spending gimmicks, net deficit reduction is only $279 billion. In the Senate Democrat plan, the deficit in 2023 is $566 billion; the House Republican plan, in contrast, produces a surplus in the tenth year. Chairman Murray and Senate Democrats have proposed a $1.5 trillion tax hike on the American people in order to subsidize wasteful spending and shield failing government programs—in the process sabotaging the principles of bipartisan tax reform that lowers rates and creates growth. This consists of the $923 billion advertised in their tables, plus $480 billion to eliminate the sequester, and $100 billion to offset stimulus in 2013. Today’s budget is $3.6 trillion. Democrats propose raising that to $5.7 trillion by 2023—an increase of 62 percent. (As a reference point, the budget in 2007 was $2.7 trillion). Relative to CBO’s current-law baseline (minus phony war savings and inflated disaster spending), the Democrat budget increases spending $645 billion above projected spending levels. Amazingly, after four years, the Democrats were unable to identify any real reforms—no tax reform and no entitlement reform. The budget also contains no welfare reform, resulting in a roughly 80 percent increase in means-tested support and poverty programs, growing the government instead of the economy. The Democrat plan reveals its supporters’ apparent belief that our massive federal government—whose budget has increased 30 percent since 2007—is essentially perfect and, instead of reforms, simply needs ever-more taxpayer dollars. The Democrat budget protects the stale federal bureaucracy while presenting millions of Americans with a future of poverty, dependency, and joblessness. Instead of empowering the individual spirit of human freedom, the majority plan empowers the bureaucracy. Instead of creating good-paying jobs for those who want them, the majority plan destroys those jobs and hires more people to staff the local welfare office. Republicans will fight for a more optimistic future—a future of strong families and thriving communities in which our society, and not our bureaucracy, is the center of American life. Tags: Democrat plan, tax and spend plan, new debt, grows government, economy, the economy, Republican plan, To share or post to your site, click on "Post Link". Please mention / link to the ARRA News Service. Thanks! Washington, D.C. – Republican Study Committee Chairman Steve Scalise and RSC Energy Task Force Chair Joe Barton today introduced a House Resolution opposing efforts by Washington liberals to install a nationwide carbon tax. Tags: Republican Study Committee, Steve Scalise, RSC Energy Task Force Chair, Joe Barton, U.S. House, resolution, opposing, carbon tax To share or post to your site, click on "Post Link". Please mention / link to the ARRA News Service. Thanks! 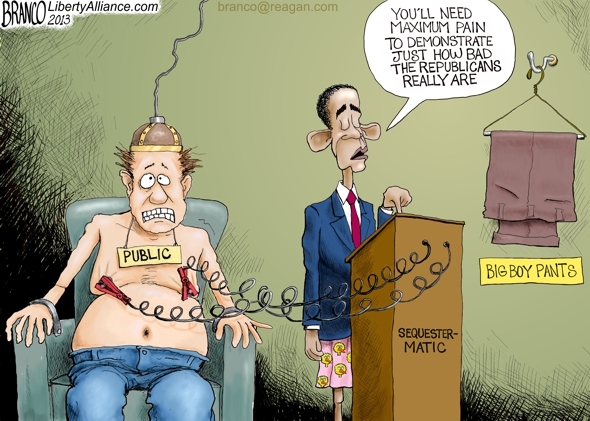 Tags: President Obama, maximum, sequester pain, public, sequester, editorial cartoon, AF Branco To share or post to your site, click on "Post Link". Please mention / link to the ARRA News Service. Thanks! With Sen. Feinstein latest gun bill, and Sen Schumer's call for gun registration (below), a reader dug up the following news report. It is by the Canada's Sun News posted in January, 2013. It warns U.S. gun owners what will result with gun registration. He provides real world examples of what has happened in Canada where gun registration has led to gun confiscation and making gun ownership illegal. He even points out an example of a lawful citizen using a weapon to defend his home from firebombs by criminals, has led to the gun owner being charged as a criminal for using his gun. U.S. Chuck Schumer wants so-called "universal" background checks so that the federal government can REGISTER YOUR GUNS. Every gun owner across America needs to know the truth about Schumer's plan for "universal" gun registration. See for yourself. On January 30, 2013, Sen. Chuck Schumer promised that universal background checks wouldn't create a gun registry. Yet just 13 days later, as Schumer was discussing gun control proposals, he stated, "the one which I've been pushing, which is universal registration." It couldn't be any clearer — when a politician says "universal background checks," what they actually mean is "universal registration." Tags: United States, gun legislation, Registration leads to confiscation, Canada, gun laws, Sun News, Chuck Schumer, U.S. Senator, gun registration, videos, NRA To share or post to your site, click on "Post Link". Please mention / link to the ARRA News Service. Thanks! Update March 20, 2013: The Senate passed an amendment to the Defense Continuing Resolution, H.R. 933, that reinstates the military Tuition Assistance (TA) under sequestration. The amendment, S. Amdt. 72, was introduced by Sens. James Inhofe (R-OK) and Kay Hagan (D-NC). Inhofe said in a statement, "This is an earned benefit that not only assists in recruiting and retention efforts for our all-volunteer force, but it also improves the lives of our men and women as they seek leadership opportunities within the military." Bill Smith, Editor: Active duty military are not paid enough or even a reasonable equivalent portion of what their civilian counterparts are paid both in and out of the service. In lieu of pay, the troops are offered other enticements. One of these promises by recruiters and by their superiors is as the opportunity becomes available to attend evening and weekend college courses either on their installations or at nearby colleges, they will have access to receiving tuition assistance. This is supposed to be one of their so called "benefits." Now, we learn that this benefit is being reneged on under the guise of sequestration. As with past wars and conflicts that come to an end, what is really happening, regardless of what you read below, is that the military is moving into the "draw-down discourage them and squeeze them out Modus operandi. And to be honest, having served a career in the military and having seen our civilian leadership do this and other actions before, it makes me po'd. The following is being shared for educational purposes under the "Fair Use Doctrine" to evidence decisions being made with regard to sequestration. by Richard Sisk and Michael Hoffman, Military.com: The Air Force announced the suspension of new enrollments for tuition assistance today, joining the Army, the Marine Corps and the Coast Guard in cutting the popular programs for continuing education because of the budget cuts imposed by the Congressional sequestration process. The Air Force suspension of new enrollments started at 5 p.m. Monday, but Air Force officials waited until Tuesday to announce the suspension. Those airmen enrolled in courses may complete them, "but they will be barred from tuition assistance for future courses" until the suspension ends, Lt. Col. Laurel Tingley said in the statement. Tingley said that currently 104,000 airmen use tuition assistance at an annual cost of about $128 million. The Air Force is the latest service to suspend tuition assistance. The Marine Corps was the first followed by the Army then the Coast Guard. The Army currently has 201,000 personnel receiving tuition assistance at an annual cost of $373 million, and the Marines have 29,000 enrolled at an annual cost of $47 million. The Navy is the only service not to suspend tuition assistance for their sailors although Navy officials are reviewing the program, said George Little, the Pentagon spokesman. Those inside the Pentagon expect the service to announce action soon that would suspend or limit new enrollments for tuition assistance. Unlike the other services, Navy leaders have considered only limiting enrollments rather than suspending tuition assistance completely. The suspensions for the Army, Marine Corps, Air Force and Coast Guard will extend until the end of this fiscal year, which ends on Oct. 1. Pentagon leaders have made no decisions about whether the suspensions will continue into next fiscal year. "We're still dealing with fiscal  and no decisions have been made with fiscal ," Little said. He explained that service leaders for each one of the services are reviewing the future of the program. The services decide the fate of the tuition assistance programs, not the Secretary of Defense, Little pointed out. "None of us like to make tough choices with respect to tuition assistance. We're here because of sequestration. The tuition assistance program is important to our department and our service members," he said. "These are tough choices for the services." He laid responsibility for the suspension of tuition assistance upon Congress. "Let me be clear, we are here because sequestration on tuition assistance," he said. "If sequestration were averted we might be facing a different set of choices." When Little was asked if he could predict the future of the tuition assistance program, he said he couldn't. "I don't know, we are in a period of terrible budget uncertainty. This is one of many programs that we are going to have to look at," Little said. Reflection on the above article: The authors of the above article stated that "He [Gen. Little] laid the responsibility for the suspension of tuition assistance upon Congress." This statement appears editorially biased and is therefore questionable. The authors did not directly quote by the General. Also, sequestration did not require any one program to absorb the full impact of sequestration and the General and others DOD leaders know this. But most of all, "sequestration" was not the idea of Congress but was developed by President Obama and his White House staff. The leaders of the House of Representative Congress have offered options for relief for the military, however, President Obama and his staff have rejected this option and thus so has the leadership of the Senate. In-other-words, the President, as Commander-in-Chief, is responsible for this and other cuts to the military. Former Chief of DoD Voluntary Education,Gary woods in an op-ed addresses the cut in tuition assistance and describes how in 2002, “The New Social Compact: a Reciprocal Partnership between the Department of Defense, Service members, and Their Families,” and then a follow-on version in 2004, known as the “Modernized Social Compact,” made it clear that DoD was committed to tuition assistance and other support programs. Woods also points out that the $600 million is a drop in the DoD bucket, yet provides far more return in readiness and morale, not to mention helping prepare service members for their inevitable transition back to the civilian work force. Tags: military, troops, airmen, sailors, military benefit, tuition assistance, education, college, training To share or post to your site, click on "Post Link". Please mention / link to the ARRA News Service. Thanks! Today, the House today is considering H.R. 890 - to prohibit waivers relating to compliance with the work requirements for the program of block grants to States for temporary assistance for needy families, and for other purposes." Yesterday, the House passed H.R. 749 (by Voice Vote — Amending the Gramm-Leach-Bliley Act to provide an exception to the annual privacy notice requirement and H.R. 1035 (397-17) — Requiring a study of voluntary community-based flood insurance options and how such options could be incorporated into the national flood insurance program, and for other purposes. Also yesterday, just hours after Republicans unveiled a plan to balance the budget in 10 years to help grow our economy, President Obama told ABC News that he has no intention of balancing the federal budget. Why? Because “we don’t have an immediate crisis in terms of debt.” Whatever you say, Mr. President. The Senate today agreed by unanimous consent to proceed to H.R. 933, the House-passed continuing resolution that funds the government through the end of September. It then moved to consideration of the bill and the Shelby-Mikulski substitute amendment. This afternoon, the Senate will be voting on an amendment by Sen. Ted Cruz (R-TX) to the continuing resolution which would defund President Obama’s unpopular health care law. The 20,000 pages of regulations make quite the impression when stacked together and the photo, that flew around the Internet yesterday, was a massive stack of paper over 7 feet high, dwarfing the original 2,700 page Obamacare bill. And these were only the regulations that the Obama administration has published so far. Many many more remain to be published. Note the ARRA News previously shared that The Federal Reserve said Obamacare will cost jobs. Tags: budgets, defund obamacare, cut spending, debt, burden of debt To share or post to your site, click on "Post Link". Please mention / link to the ARRA News Service. Thanks!